Don’t always go for the most obvious solution. Remodeling or building your garage gives you the opportunity to make the most of that room. And the floor covering you pick will play a huge role. Some products only bond to the top layer of your floor. In contrast, stains are acidic or acrylic liquids that have chemical reactions with the particles in your concrete floor. They bond with the cement and especially the acrylic versions penetrate much deeper than normal paint. These features are beneficial and can make your floor last longer, but that requires correct application. And no substance is perfect. Below we discuss these two items more in detail, so you can gauge which one is best for your garage. You should choose the paint most suitable for your use. Below we discuss various features of garage floor paint vs stain. We tested them, saw how they perform in similar circumstances and this is what we found out. Coverage is vital. It determines how much you’ll spend on the product for initial installation. The larger the area you can cover with a gallon the better. If the two products differ vastly it gives you one reason to pick the one above the other. But remember that future maintenance also plays a role. Don’t choose a product because it’s cheaper should you have to repeat the process in the future. Also consider the floor you’re covering. The moment you work on a rough surface the coverage will be slightly lower than normal. What we love about garage floor paint is that your get some benefits of epoxy without having to deal with disadvantages. You probably know epoxy’s coverage is very low. 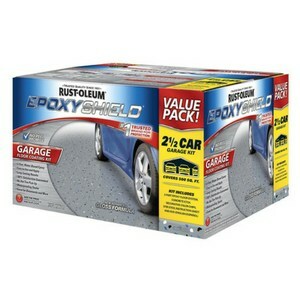 But many garage paints contain some epoxy but offers you a coverage of 400ft² per gallon. You’ll love it because it’s economic and because it’s a quality product. This is also an economical product because of its reasonable coverage. You’ll be able to cover 200ft² or more with one gallon. Consider the different types though. On a tight budget you can opt for water-based stains. These have an even higher coverage rate than other stains. It’s not only your floor that must be strong. Your coating can determine how long your floor stays in a good condition. Some coatings even improve the durability of the floor. You don’t want to settle for less, right? We investigated how these substances fared over time. Did they start to wear away? Did the concrete crumble excessively or did these coverings protect it? Many garage floor paints contain substances that improve durability, such as epoxy. This makes the final product resistant to wear, tear and even chemicals. Because of high adherence, the paint also won’t come off easily. For as long as the paint sticks, your garage will have a quality floor. You’re probably planning on doing a DIY project, right? You want a product that requires little effort and where there isn’t much chance of getting it wrong. For both products, in most cases it’s the preparation that’s challenging. It determines the long term effect of these substances. After preparing and cleaning the floor both these products require you to mix different substances and then you can start painting. Let’s see which one is most user friendly. This is a normal painting job you can handle with a roller. To be safe and prevent stepping into wet paint you should systematically paint small squares until the room is done. The smooth liquid paints easily. Some floor paints require a very long curing rate. It can be as long as 7 days before it’s safe to drive heavy vehicles across it; as part of the application process this isn’t very user friendly. What do you do with your vehicles while you wait for your floor to dry? Just remember that it’s worth keeping to manufacturer’s suggestions because your paint will last longer when you let it dry properly. What you’ll also love is that you can easily do touch ups whenever necessary. Your project determines whether you can follow the easy way of spraying or whether you have to get down on hands and knees with a brush. Stains require maintenance and touch ups the moment you see it’s worn out. Luckily you can add a new layer instead of first etching off the old product. How do you budget for your garage’s floor covering? You must take the entire process—and future processes—into consideration. What will it cost you to install today? How soon do you have to apply a new coat again? 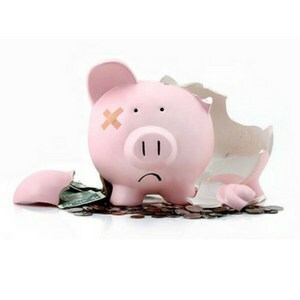 What are the maintenance requirements and expenses? Which one of these performed the best? 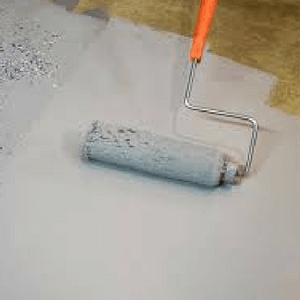 Garage floor paint is slightly less expensive than cement stain. You also have the benefit that it doesn’t easily show wear and tear. You can keep some back-up stock for touch ups, but you won’t use it often. Maintenance is fairly easy. You only need water and detergent. Usually the epoxy offers protection so chemicals won’t cause the floor and paint to deteriorate. You must handle stains with some care. They’re not tough enough to handle strong chemicals. You don’t need specialized cleaning products but you do need to polish these floors often. This increases their maintenance costs in the long run. Stain is slightly more expensive than garage floor paint as well. This means your initial investment and your long term expenses are elevated. Adhering is an important feature because you don’t want the substance you apply today to start lifting off your floor after only a few days. This is especially important in high traffic areas or even if heavy items—such as your car—regularly travel across the floor. These actions can cause floor coverings to loosen if they don’t bond properly. 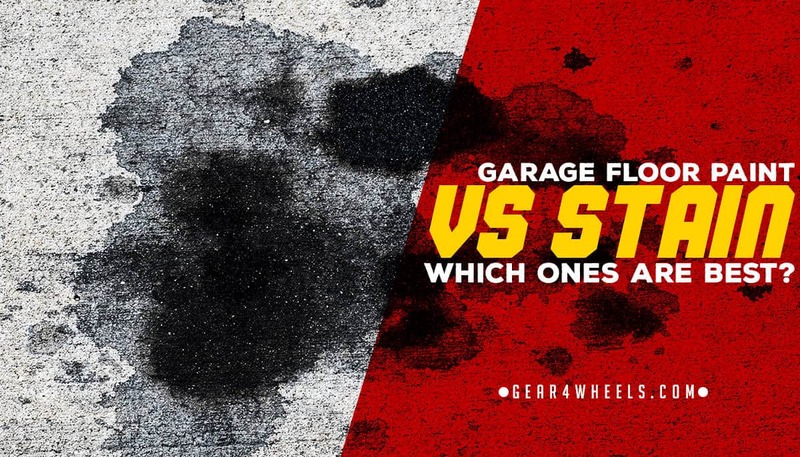 Who wins between garage floor paint vs stain? Garage floor paint is designed to handle the rigors of a garage. Part of it requires floor coverings to be durable enough to cope with heavy vehicles driving over it. This starts with excellent adherence. But know that this is determined by whether you keep to its curing timeline. If you start using it before it’s cured it will start peeling especially when it comes in contact with hot tires. Despite stains reacting with the cement particles, this product is an aesthetic feature and not a durable one. Yes, the product easily clings to the floor during application, but after it’s dried, friction easily lifts it off the cement. Transparent stains show imperfections of cement below. One can see why manufacturers go to the trouble of producing garage floor paint. They took the most required features of other paint products and added them together. Now you can have the benefits of something such as epoxy mixed with the easy application features of paint. 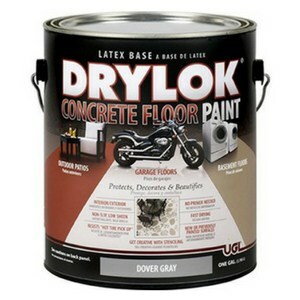 Floor paint is by far better for your garage than simply staining the cement. The most important feature is durability. A stain simply doesn’t have the ability to withstand the daily friction and weight of cars moving in and out. Now there’s no question what you have to go and buy to turn your garage into a striking and durable showstopper.